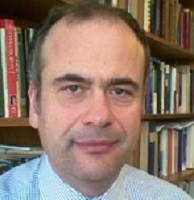 Nicholas Tsagourias is Professor of International Law at the University of Sheffield. He joined the University in 2012 from the University of Glasgow where he was Professor of International Law and Security. He completed his law studies at the University of Thessaloniki in Greece, obtaining an LL.M. from the University of Bristol and a Ph.D from the University of Nottingham. His research interests are in the fields of international law and the use of force, international humanitarian law, international criminal law, collective security law, peacekeeping, United Nations Law, international and European constitutional theory and law and he is widely published in these fields. Visit Nicholas’ University of Sheffield staff page.